Have u been to concept coiffure in district 2 Ho chi minh city? It is a hair salon with various service available. Cek their website http://www.conceptcoiffure.vn for their address, their services and to make appointment. I’ve been there 2 times for hair cut. The first one was with Sandrine, the owner. Next one was with her assistant. This time I need a hair cut AND hair coloring. My hair color need a fix. 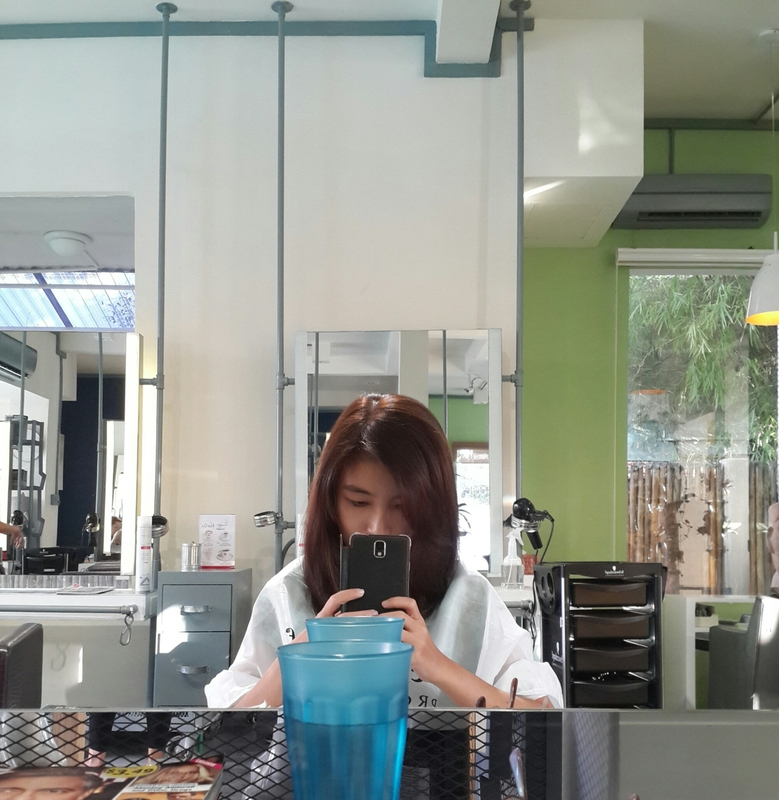 Last time I colored my hair was in January at one of hair salon in Jakarta, Indonesia. It was before I came to Saigon. I made a reservation via their website (or you can call them directly). They replied with the available time and I agreed to it. I came there before the designated time. One of the staff welcomed me and asked me sit at one of empty chair. This time I was with Sandrine again. She asked me how do I want to cut my hair, then asked me what color did I want. She also suggested me to have same color as before, which is brown. After I agreed and confirmed what I want with my hair, she took a color chart and looked for a suitable color. I colored my hair using L’oreal Majirel before. But here in concept coiffure they use Italy brand, Alfaparf. The product doesn’t smell as strong as other coloring product. And the result is great! The cost for coloring with her is 1.280.000 vnd. Please take note that this salon only accept payment with cash. So prepare ur cash before going there. Overall it’s recommended to visit, even when you’re just visitting saigon for holiday. Also.. it is recommended to make appointment first. They also have a hair salon in District 1, Ho Chi Minh City, called Hair Bar. The main service is hair do for woman but they also do the hair cut and coloring. I never tried this one. Do you have any experience with this salon as well? Or do you have other recommended hair salon? Please let me know in comment below!